a whole new choice of stylish living to Ballyhalbert. These homes will be notable for their external style and finish, enhancing the ambiance of the entire development and providing a classical look that will maintain its appeal in this growing seaside village for decades. St Andrew's Point has been designed to mirror a location where the coastal charm sits comfortably with the edge of the village convenience - it is an address in which to live and relax in style - perfect for those who enjoy an active and a not so active lifestyle. Ideally situated a stones throw from the shore, St. Andrew's Point exudes a fresh coastal atmosphere on the edge of this attractive seaside village. 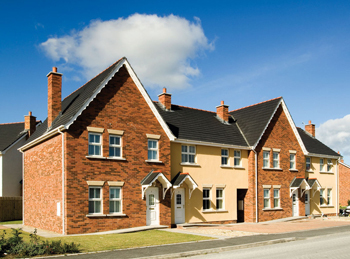 Boland Reilly have spent a lot of time and effort in creating living spaces and elevations which are one of a kind - modern yet traditional, they set new standards for this part of the Newtownards Peninsula.